On March 11, 2014 at 6:30pm, REV3 Innovation Center of Dupage is hosting me for a presentation on Strategies for Protecting Intellectual Property: Innovation and Branding. Intellectual property plays a role in adding value to most businesses, whether through invention, branding, or the use of other creative works. My presentation will help business owners, entrepreneurs, and inventors understand how patents and trademarks can be used to protect innovation and business branding. It will provide strategies for protecting intellectual property rights under various scenarios and funding circumstances. Sign up here to attend. Particularly the presentation will cover the following. In addition, the presentation will discuss steps that are needed to obtain and maintain ownership over the intellectual property created by your company, its employees, and its contractors. 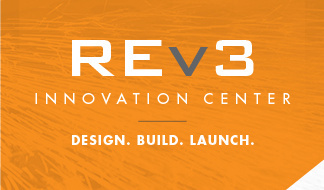 REV3 Innovation Center is an incubator and future co-working space in DuPage County. REV3 is focused on helping people and companies manufacture products, software, and technology to drive the third industrial revolution. One aim of REV3 is to provide facilities to allow companies to prototype, build, and assemble small and moderate scale product volumes. If you are interested in getting involved with REV3, please contact me. The presentation will be held at the Illinois Institute of Technology (IIT) – Rice Campus at 201 E. Loop Rd., Wheaton, IL 60189. Please sign up to attend here: http://rev3dupage.com/events/?ee=12. Previous PostPrevious How Do I Reduce Patent Costs?